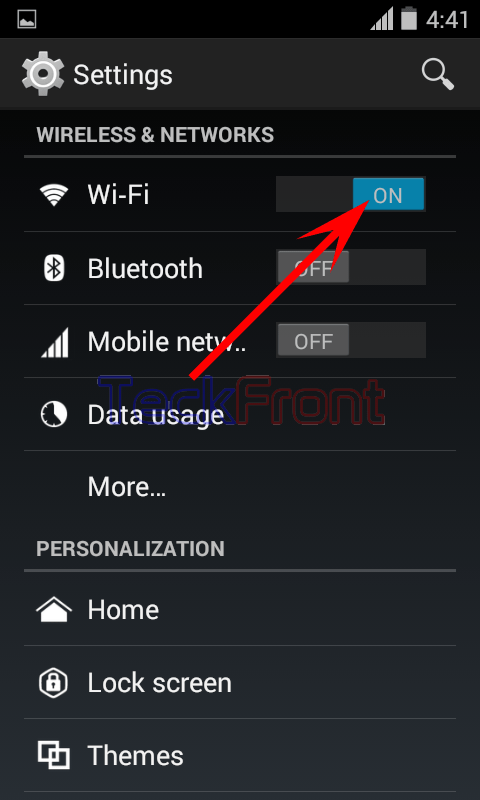 How to Switch ON Wi-Fi App by 4 Different Ways in Android 4.4.4 KitKat Phones? Importance of Wi-Fi for the modern era smartphones is so big that Android 4.4.4 KitKat has introduced 4 different options to switch on Wi-Fi. 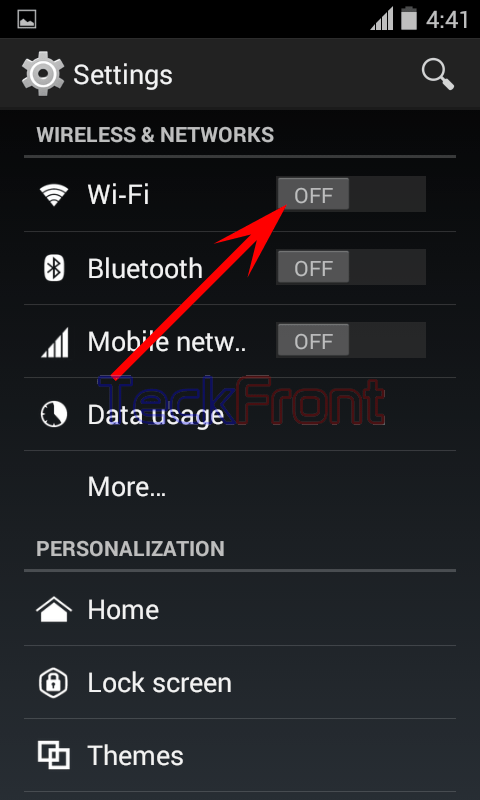 These 4 different methods to switch on Wi-Fi are so introduced to make it comfortably easier to switch on Wi-Fi at any time and at any stage of operations of the Android phone. See the four different methods to switch on the Wi-Fi. 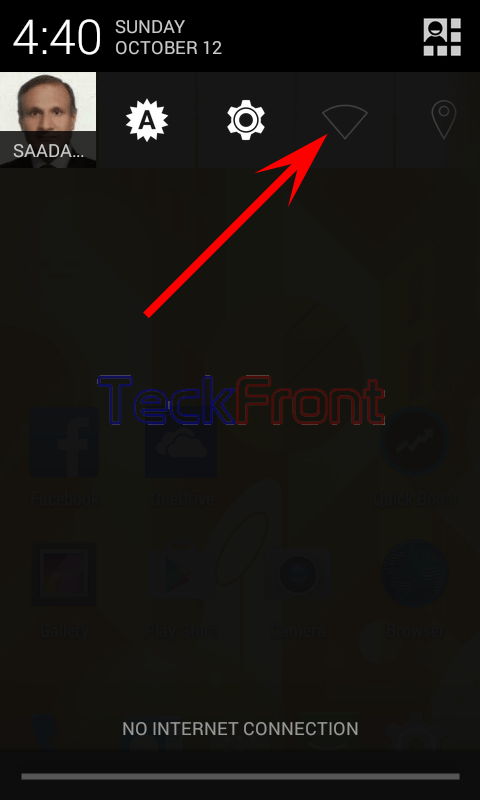 1: Tap the ‘Settings’ Icon on the Home screen of the Android 4.4.4 KitKat phone to open up the ‘Settings’ screen. 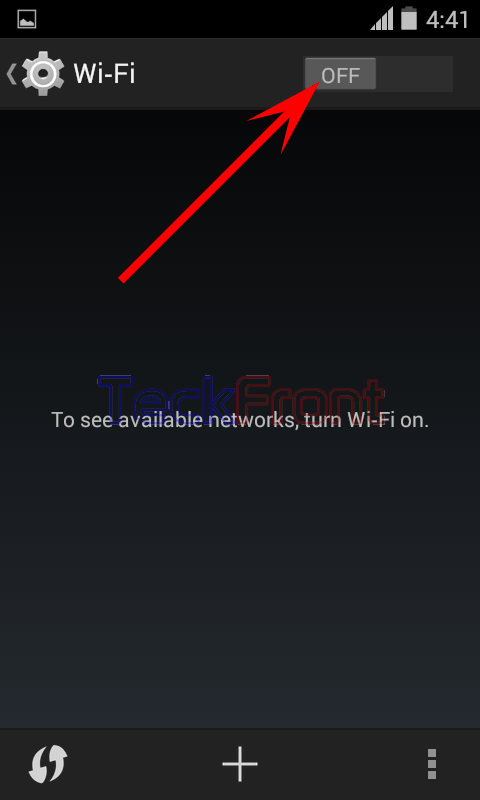 2: See the ‘Wi-Fi’ switch under the WIRELESS & NETWORKS’ is OFF. 3: Tap and drag the Wi-Fi button to right to switch on the button. When the switch is moved to the left on ON, its color will be changed to sky blue which is the indication that the Wi-Wi is ON. 1: Tap the ‘Settings’ on Home screen of Android 4.4.4 KitKat phone to open up the Settings screen. 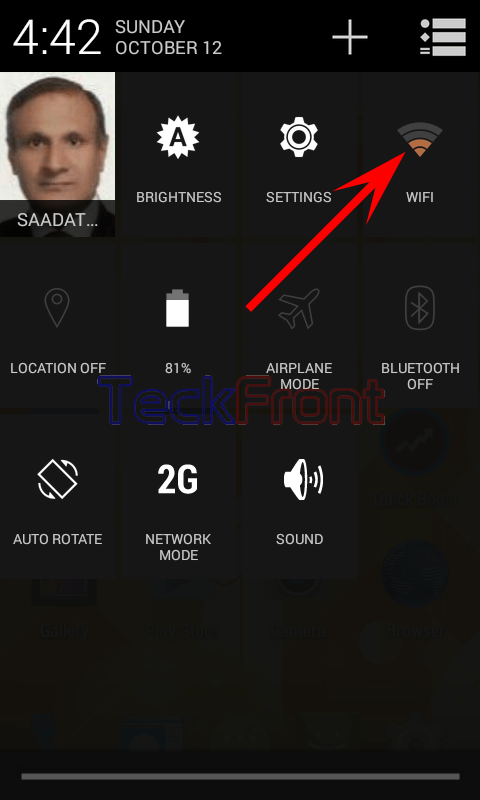 2: Tap the ‘Wi-Fi’ under the WIRELESS & NETWORKS to open the ‘Wi-Fi’ screen. 3: See the ‘Wi-Fi’ is OFF. Tap and drag the switch to ON to run the Wi-Fi. When the color of the switch is changed to Sky Blue, it is indication that the Wi-Fi is ON. That’s all! 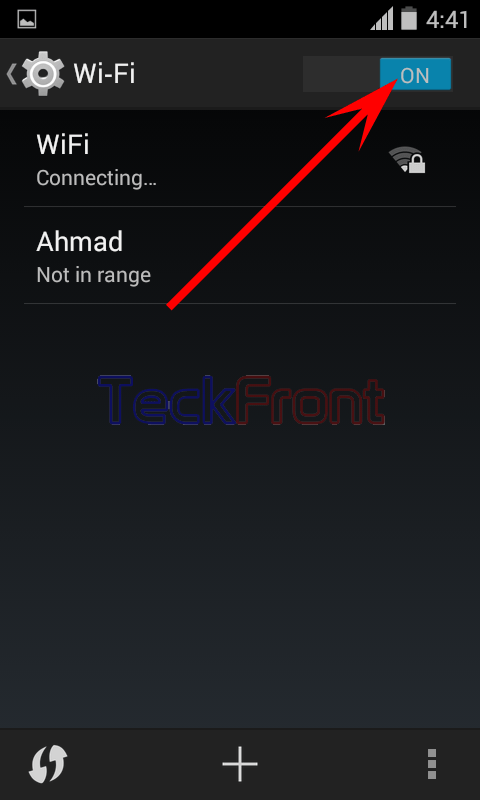 Newer How to Avoid Poor Wi-Fi Connection in Android 4.4.4 KitKat Phone? 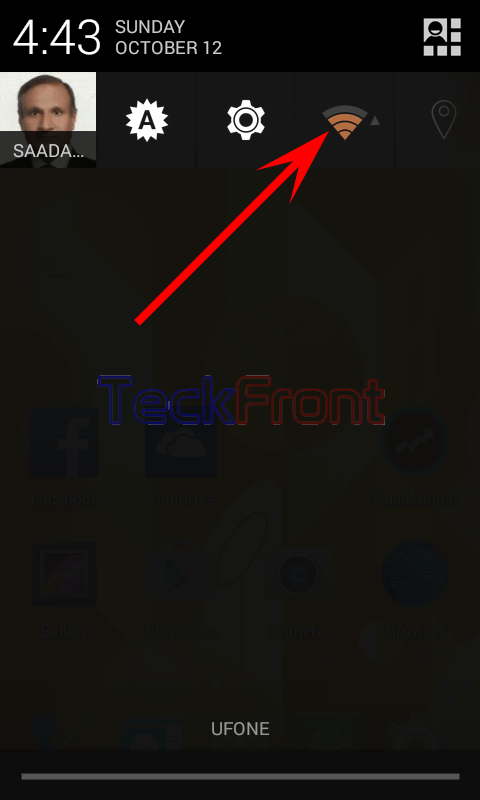 Older How to Display Battery Status on Status Bar of Android 4.4.4 KitKat Phone?